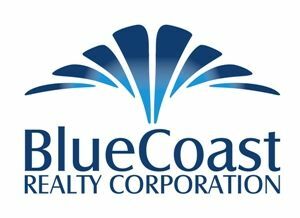 The Coastline Real Estate Team at Blue Coast is your number one choice for Real Estate information throughout the Wilmington, NC area. The Coastline Real Estate team specializes in helping buyers and sellers with all of their real estate needs. Our team services the areas in and around Wilmington, in addition to Carolina Beach, Wrightsville Beach, Kure Beach, Hampstead, and Leland. We constantly access the most current and up-to-date listing information, as well as the latest in new homes to hit the market and real-time sold data. The Coastline Real Estate team will guide you through the entire process from start to finish. We pride ourselves on the highest level of client satisfaction through all of our professional services, to include: listings, home search, negotiation, home inspection services, and selection of mortgage brokers and closing attorneys. Thinking about selling? Then get the latest comparable market date with our seller feature tool. This feature allows you to search home values by address or by neighborhood. Find out what your neighbor sold their home for. Always know, however, that we're a phone call away if you'd like to talk about your real estate needs one-on-one with an experienced, full-time real estate agent.